A group of China Care Ambassadors spent an afternoon recycling soaps and preparing gift packs for live-alone elderly on Tuesday, at an event co-­organized with Clean the World and the Family Integrated Community Service Center of Seac Pai Van of the General Union of Neighborhood Associations of Macao. The Care Ambassadors began by receiving an introduction to the Clean the World recycling program and its partnership with Sands China and parent company Las Vegas Sands Corp. (LVS). Clean the World and LVS have recycled more than 50 tons of waste from LVS properties worldwide into more than 550,000 bars of soap since 2011, benefitting groups in need in Macau and around the world, states a press release. In addition, the volunteers also prepared Chinese New Year gift packs for members of the center, many of whom are live-alone elderly. “Monster Hunt” has emerged as the highest-grossing Asian film of 2015 and will receive the AFA’s award for Highest-Grossing Asian Film of the year at the 10th Asian Film Awards (AFA) at The Venetian Macao on March 17, according to a press release. The film is also competing for awards in the “Best Visual Effects” and “Best Sound” categories in the coming awards ceremony. The 3D fantasy adventure film set in a world of humans and monsters is a skillful blend of live action and animation. 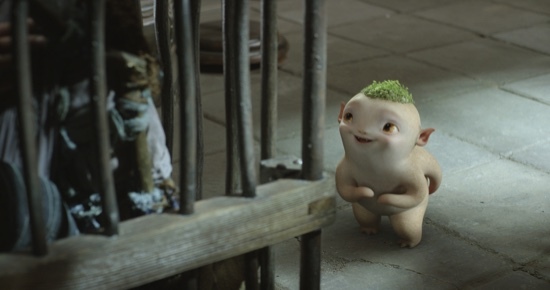 Upon its release in July 2015, “Monster Hunt” became a huge commercial success, breaking numerous box office records, leading to an accumulated box office earning of USD382 million in China. It surpassed Hollywood blockbusters, such as “Furious 7” and “Transformers: Age of Extinction,” to become the highest-grossing film in China of all time. 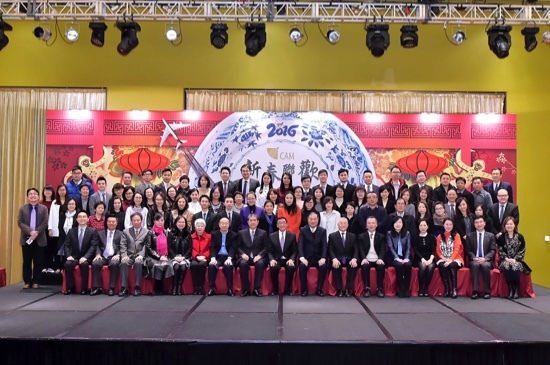 The Macau International Airport Co. Ltd. (CAM) held its 2016 Spring Dinner last week at Grand Hyatt to celebrate the Year of the Monkey. Chairman of the General Assembly Charles Lo Keng Chio and Chairman of the Board of Directors Ma Iao Hang, expressed their appreciation for the trust and support from shareholders. They also praised their staff’s persistent effort to cooperate and adhere to the development strategy of CAM in 2015, “Growth-Oriented Innovation and Market Expansion,” said a statement.